Ascension Day of Jesus Christ in Indonesia recognizes Jesus Christ's ascension into heaven according to Christian belief. This holiday takes place the 40th day of Easter. People celebrate this holiday by putting the Easter candle out, fruits and vegetables may be blessed in the church, and processions with banners. Schools, offices, and most businesses are closed. 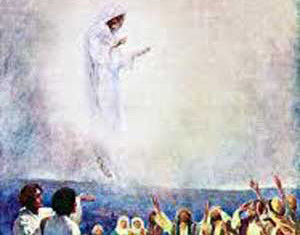 Jesus Christ spent 40 days preaching with his disciples and apostles before he ascended into heaven. This holiday was first celebrated in 68 AD.